Preheat the broiler. 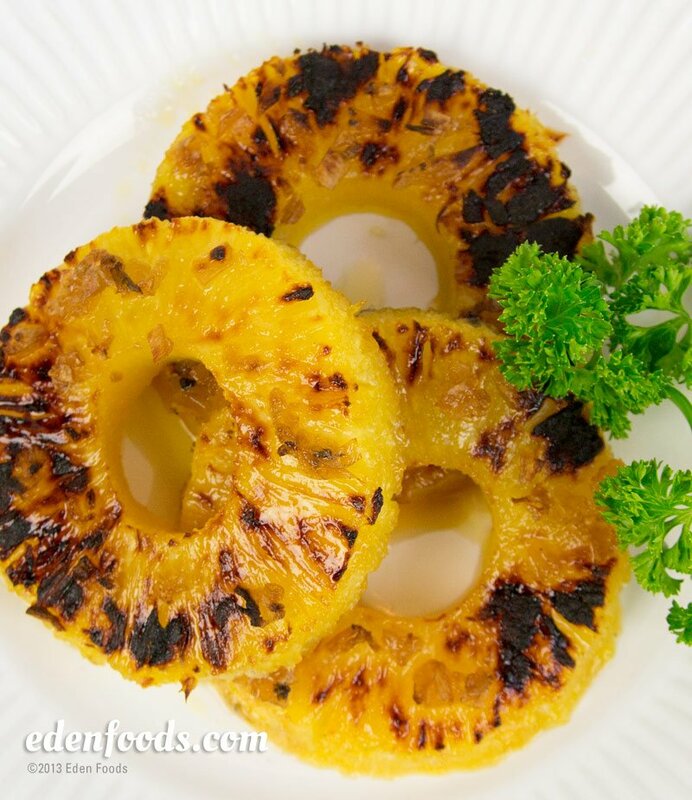 Lightly oil a large baking sheet and arrange the pineapple slices on in a single layer. Finely chop the ginger pickles and set aside. To make the glaze, mix the oils, syrup, sea salt and reserve ginger pickle liquid together in a small bowl. Using a pastry brush, brush each pineapple slice with the glaze. Broil for 2 to 3 minutes, glaze again, rotate the baking sheet and broil 1 to 2 minutes until the pineapple begins to brown. Sprinkle the ginger pickles on top of the pineapple rings and broil 1 more minute to heat. Remove and serve.